If you are searching What Masked Aadhaar is, and How to Download Masked Aadhaar Card? If yes, then you have reached the right place. In this tutorial, you will know all about Masked Aadhar card and a step-by-step guide to downloading your Masked Aadhaar Card. What is a Masked Aadhaar? Difference between Masked Aadhaar Card and Regular Aadhar Card? Features of Masked Aadhaar Card. 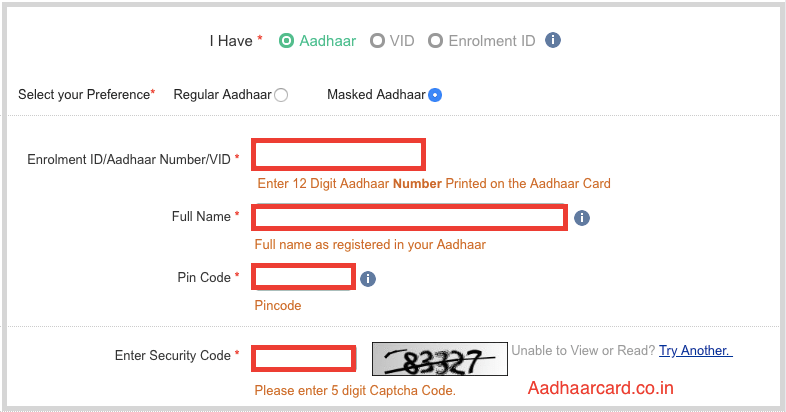 How to download Masked Aadhaar? Step-by-step guide to download Masked Aadhar card. Password of Masked Aadhaar Card PDF? The Unique Identification Authority of India (UIDAI) continues to add new features to Aadhaar card to make it more secure. Masked Aadhaar is an offline alternative of Regular Aadhar Card. It allows you to use all services but without sharing your Aadhar number. It hides the first 8 numbers of your Aadhar card, and only the last four digits are visible which is more secure than regular Aadhaar card. 1. Masked Aadhaar card, hides the first 8 numbers of your aadhar card and only the last four digits are visible. 2. While regular aadhaar card is fully naked and all your Aadhar numbers are visible. 3. Apart from this, the Masked Aadhaar Card is more secure than the Regular Aadhaar Card. 4. Masked Aadhaar contains QR code which is more reliable and secure than other forms of IDs. 5.Use your Aadhaar without disclosing your Aadhaar number. 1. 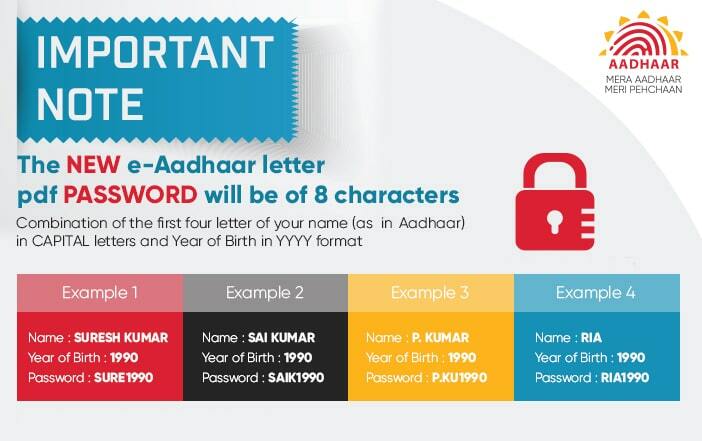 It is an alternative version of your Aadhaar card with more security. 2. Share your Masked Aadhaar number without any fear as first 8 digits are hidden. 3. Only demographic information and QR code will be available. 5. Use your Aadhaar card without disclosing your Aadhaar number. 6. Digitally Signed and verified by UIDAI. 7. Masked Aadhaar is as valid as your regular Aadhaar card. 1. Visit UIDAI official website. 2. 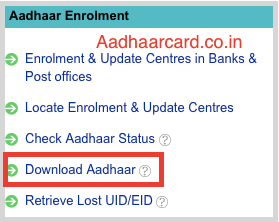 Click on “Download Aadhaar” under Aadhar enrollment section or directly visit https://eaadhaar.uidai.gov.in/. *Using Enrollment Number: You can download Masked Aadhaar using a 28 digit enrolment number along with full name and pin code. *Using Aadhaar number: You can download Masked Aadhaar by using the 12 digit Aadhaar number along with full name and pin code. 6. Select your Preference as Masked Aadhaar from Regular Aadhaar. 8. Enter your Full Name, enter your Pin Code and fill the Security Code as displayed in the image. 9. Click on Request OTP button to receive a One Time Password on your Aadhaar linked Registered Mobile Number. 10. If you have TOTP, you can go for other option of TOTP. Select I have TOTP to generate Time based OTP in mAadhaar App on your Phone. 11. Click on “Download Aadhaar” Then your Masked Aadhaar Card will be downloaded in a pdf form. Downloaded Masked Aadhar Card PDF will be password protected so that only you can open it. 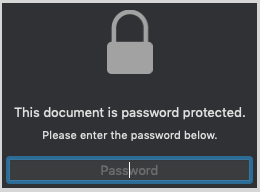 But How you can open it? The password of this PDF is the Combination of the first four Alphabets of your name (In Captial) and Year of Birth. Masked Aadhaar card is the government’s one of the most significant steps to stop misuse of Aadhaar card from any fraud.